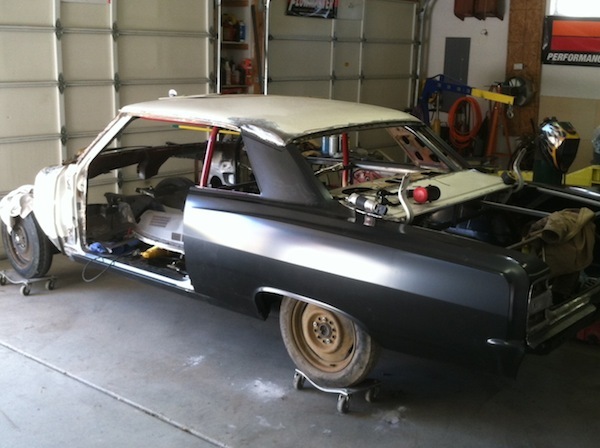 You are here: Home » Chevelle Build » Chevelle Project Bake-Sale: A TurnKey 350 Small Block, Red Bucket Seats, Steering Column, and Fuel Tank! 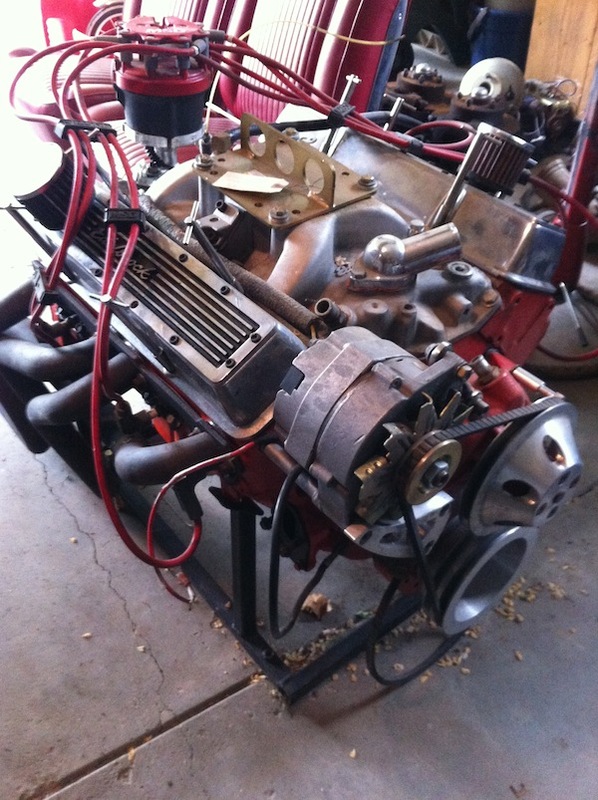 Chevelle Project Bake-Sale: A TurnKey 350 Small Block, Red Bucket Seats, Steering Column, and Fuel Tank! Brother, can you spare a few thousand dimes? Since the Chevelle Build is in full swing it’s become clear that the next step required to continue moving forward at Allison Customs is that I need to do a little fund-raising. Specifically, our goal to have the car completed by the November SEMA show is looking a little scary, mainly because we’re at the point in the project where a massive amount of money must be spent on more parts, paint, and everything else. Thus, I have decided to do something with my existing Chevelle parts that I’ve never had the heart to do before; sell them. As you may guess, when it comes to this car I’m a bit sentimental…..where “a bit” could be defined as something the size of the Titanic. I kept all of the original parts when we restored it the first time, and the original 283, Powerglide, open-rear end, and fried bench seat are all sitting in a storage garage. I even have the original rusty mangled up quarter panels, though every time I get near them I need a tetanus shot. That being said, the “new parts” that I’ve put on the car over the years are all really nice items (unlike the original stuff) and they have a ton more life left in them. I can’t think of a better way to see my Chevelle move forward than to sell off a few un-needed parts to raise the funds to continue. While I’ll be a little sad to see a few of them go (especially the seats), I think it’s the best think to do. I’ll still have the original rusty stuff to look at, right? As a stoke of good luck, the Hotchkis suspension, disc brakes, and rally wheels have all been claimed already by podcast listener Kim Drinkwater, and better yet is that these parts will all be used on his ’64 Chevelle! I’m pleased as punch that a podcast show listener (and ’64 Chevelle owner) would be the one to get them – it’s just another great part of this crazy story. The following items are now for sale on eBay and Craigslist, and I announced them all recently in The MuscleCar Place podcast show. If you have any questions feel free to send me an e-mail directly at robert@themusclecarplace.com. Thanks for looking! I am selling the 350 from my ’64 Chevelle. The motor itself was rebuilt in 2008 by Dave Newhouse (circle track engine builder in Ames) and has roughly 5000 miles on it. All new bearings, gaskets, and machine work were done during the rebuild. I have well over $2000 in just the motor rebuild alone. It makes nice power and is great for a street-rod or muscle car. A new crate engine with all of the accessories is twice the price! I’m selling it as a turn-key unit (engine, carb, ignition, starter, etc.). Absolutely everything is included that you see in the pictures minus the clutch. In full disclosure, the heads may need to be replaced. While they were machined in 2008 and have all new hardware in them there is still oil getting past the valve guides – the engine does use some oil when running as a result. Dave Newhouse has gone through them twice and recommended changing them out instead of continuing to chase the problem. 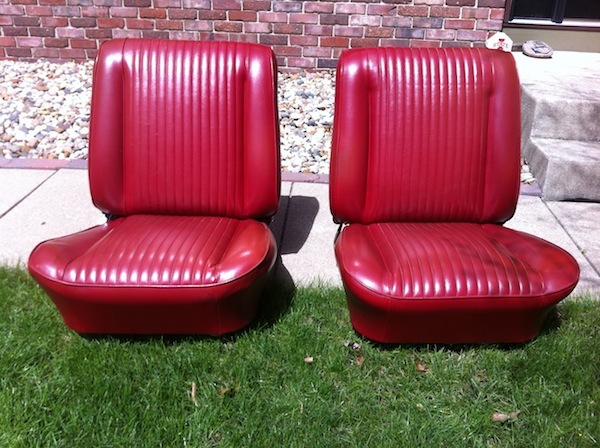 This is a set of bucket seats from my ’64 Chevelle. The seat frames themselves are from a ’65 Chevelle SS, but I had them re-upholstered in the mid-’90’s with ’64 Chevelle SS red seat covers. The condition of the seat frames and sliders is good. I would categorize these as “driver” quality seats. The upholstery is in nice condition but there are a few little nicks from normal wear and tear over the last 15 years. The chrome trim is decent but does have a few pits (the chrome is completely original). The seat springs were replaced when the seats were re-upholstered and are on the firm side (likely firmer than a factory ’64 seat). This is a steering column from my ’64 Chevelle and is intended for a manual floor-shift application (i.e. no shifter on the column). It will fit ’64 and ’65 Chevelle’s and may also work with other GM applications (but I don’t have a clue as to which). The column itself is complete from the steering wheel mount all the way to the rag joint. The internals are in nice shape (turn signal works fine). 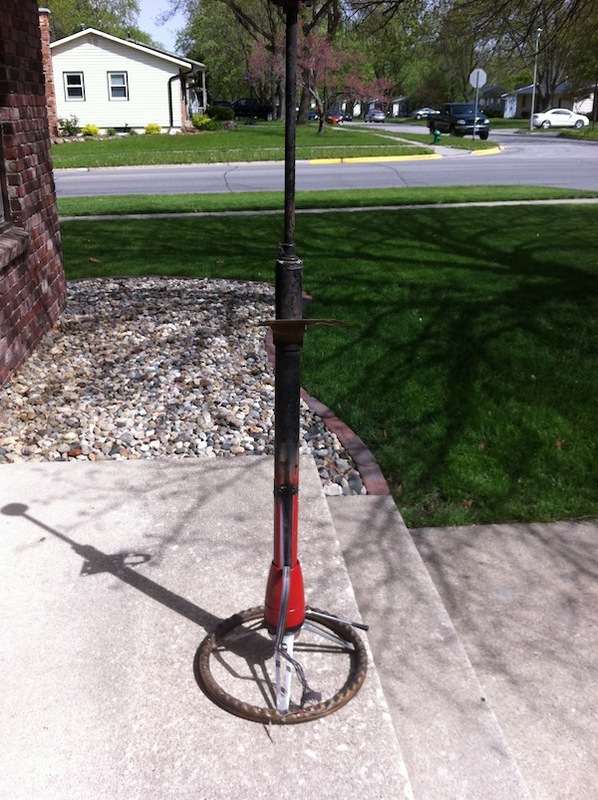 The condition of the column overall is driver quality and is ready to bolt in. I left the steering wheel on just for the picture – I am planning to keep that. 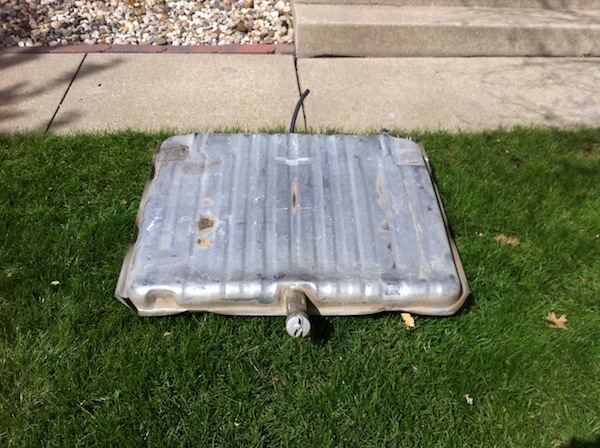 This is a used fuel original style tank from my ’64 Chevelle. It will fit ’64 and ’65 Chevelle’s and may also work with other GM applications (but I don’t have a clue as to which). This tank is a factory replacement that I bought in the mid 1990’s from National Parts Depot. It’s in good overall condition but cannot be shipped since it’s had fuel in it. Love the bucket seats! More photos and price please.